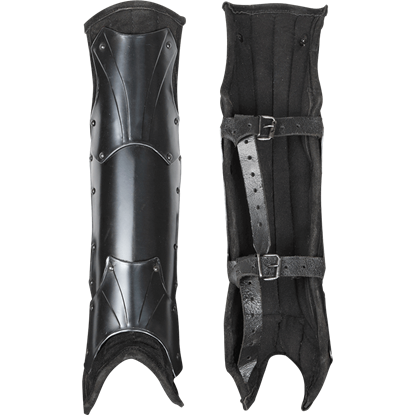 The Blackened Fafnir Brigandine is made with comfort in mind, constructed from metal plates that have been riveted on a backing of padded suede. 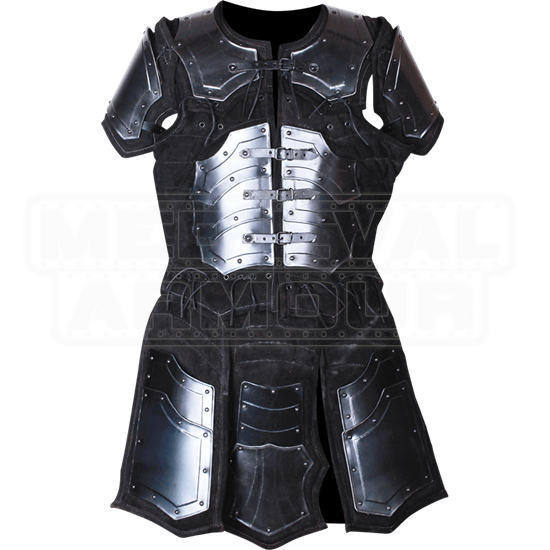 The body armour can be put on swiftly so you are ready to fight in a matter of minutes. Due to its 8 oz. 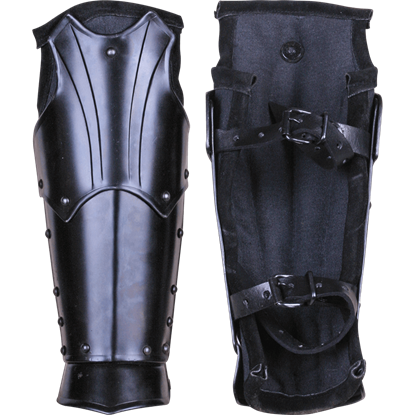 leather padding, the steel brigandine does not need to be worn with a gambeson or a similar garment. The fit of this medieval armour can be adjusted to three different sizes with leather straps pulled through eyelets. The plate armour can be worn in various combinations, as well, by removing the shoulder plates or thigh protectors as desired. 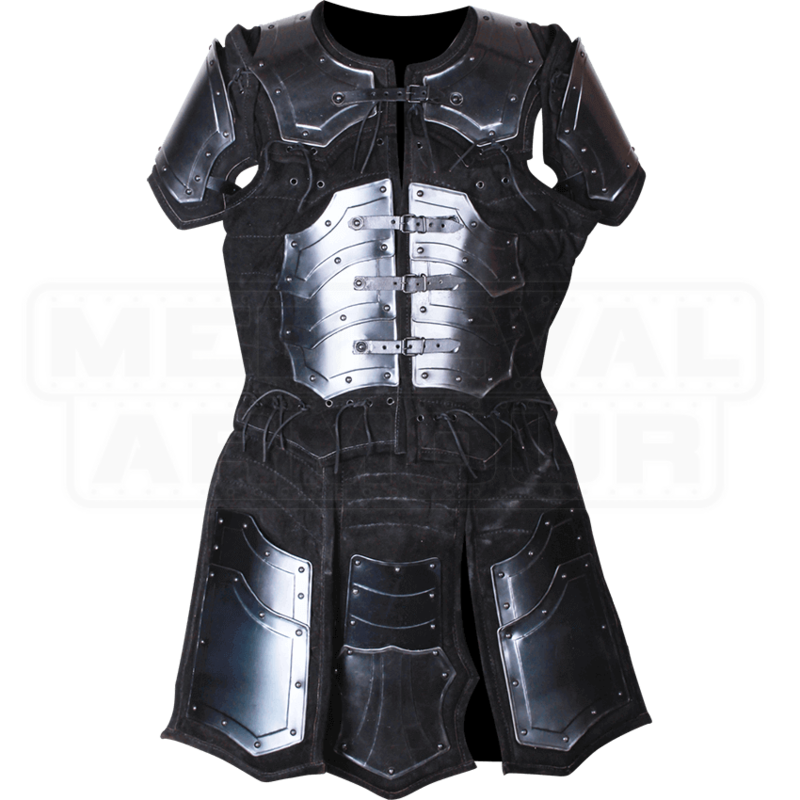 The steel plates featured on the front and back display a dark metal finish with corrugated details, making this LARP armour ideal for dark warriors and mercenaries of all sorts. Be sure to check out all of our Fafnir-style armour when planning your ensemble for your next LARP battle or re-enactment. AWESOME. It looks better in person than in the picture. You will not be dissatisfied. The only thing I would change is the leg armour as it is the only piece that can't be worn as its own piece and it's basically impossible to get in and out of it without untying the center crotch plate; a minor hassle. I'm thinking of making a belt for it. For the price and the quality you can't complain though. Truly an amazing suit of armour. Just got this armor the other day. Looks great, feels great. Don't let the picture fool you though, this armor is heavy, around 34+ pounds (15.5 + kg) Easy to put on. Gonna need to wear it a lot to get use to the weight. As always, ordering from this site was easy and the product showed up within a week. AWSOME. I have had Chainmail and I have had plate mail; however, this armor is my new go to for my personal favorite. When they say that this armor is fully adjustable, they mean it. When worn over a leather welding jacket, it is perfect for sparring. 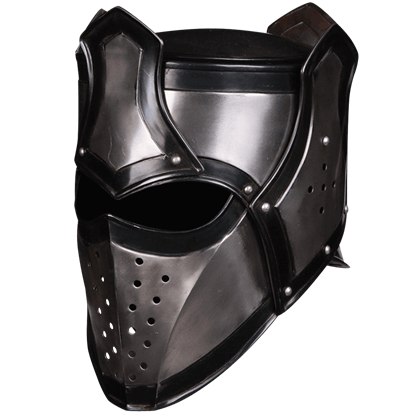 It also suits a variety of LARP roles as each piece can be removed and worn separately. One suit that does it all. Brilliant.